Out of sight and out of mind, many drivers rarely think of their car battery until it’s too late and their vehicle will not start. When replacement becomes the only solution, refer to these battery basics to help you navigate the purchasing process to find the right battery for your car. There are many different kinds of car batteries with each having their own classifications. The most popular and commonly used in vehicles on the road today are lead-acid batteries, particularly flooded, gel and Absorbed Glass Mat (AGM) models. While each of these types utilizes the same basic chemistry, the lifespans, power, and maintenance requirements vary between them. Flooded lead-acid car batteries are far and away the most common battery in use today. Named after its free-flowing electrolyte solution, flooded batteries are susceptible to spills if not fully secured in the vehicle. With variations including conventional or sealed, flooded batteries are either very low maintenance (replacing electrolyte solution with distilled water over time) or maintenance-free entirely meaning they will need to be replaced at the end of their lifespan. 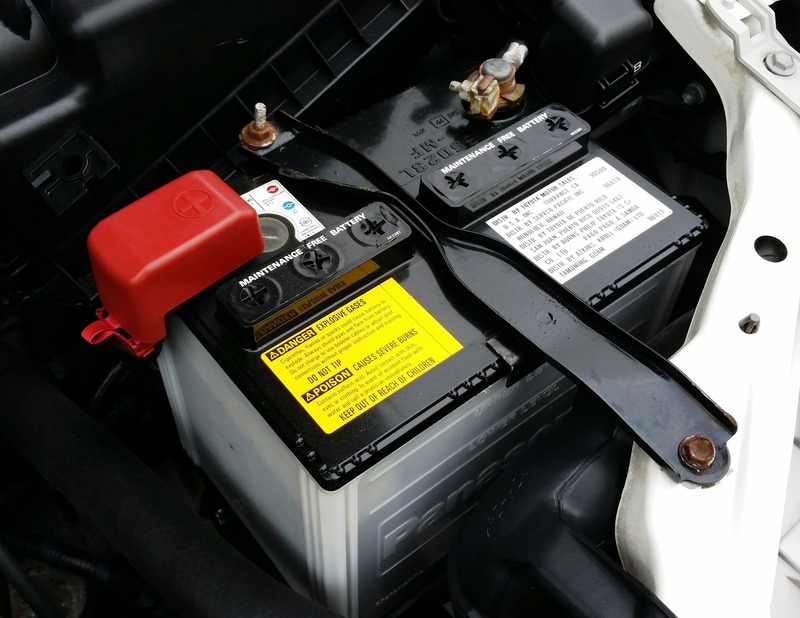 Unlike flooded batteries, gel lead-acid car batteries utilize a Jell-O like substance in place of a liquid electrolyte solution to prevent leakage and provide consistent electrolyte coverage around lead plates. While this battery type is more viable in terms of preventing leaks and being maintenance free, gel batteries are more susceptible to voltage inconsistencies and must be replaced at the end of their lifespan. Unlike the previous two types of lead-acid car batteries, AGM batteries utilize fiberglass sheets to separate lead plates and electrolytes. Because each cell is tightly wound and contained, these batteries are extremely stable and leak resistant as there is no solution sloshing around. In addition to their heightened stability, AGM batteries are arguably the most efficient lead-acid type as they perform better in colder conditions (higher cold crank amperage), have a longer life, and recharge quickly. After understanding some of the more common types of car batteries, it’s time to find the battery that is right for your vehicle. Below are a few key terms to know when shopping for a new battery to ensure you find what you need. Group Number: A battery’s group number, or BCI number, details the length, width, and height of the physical battery case, as well as the location of the terminals and their polarity. This is extremely important as you do not want to purchase a battery that doesn’t fit your vehicle or has opposite polarities. Power: Battery power, as previously mentioned when discussing AGM batteries, is measured in amps. Because almost all car batteries are 12 Volts, their power is the true cost differentiator. As illustrated in the image above, cranking amps describe the power required to start your vehicle at 32°F, while cold cranking amps describe the power to start the vehicle at 0°F. While more amps is considered better, it’s important to select a battery with amperage based on your driving environment and vehicle’s needs. For answers to all of your battery-related questions and help finding a new/replacement battery, call or visit the knowledgeable professionals at a Sanel NAPA store near you and get the best parts for your vehicle, today. Since 1920, Sanel NAPA has been a leading auto parts, heavy-duty truck parts, and body shop supplies distributor with over 42 store locations throughout New Hampshire, Vermont, Maine, and Massachusetts. We deliver quality car parts, heavy-duty truck parts, automotive paint and body supplies, and tools and equipment that are durable, dependable, and long-lasting in order to provide our clientele with the best products and services possible. For more information, call (603) 225-4000 or click to find a store near you.